My favorite holiday ritual is decorating our Christmas tree. I throughly enjoy the yearly tradition of bringing out the decorations and hanging the ornaments, so why stop there? 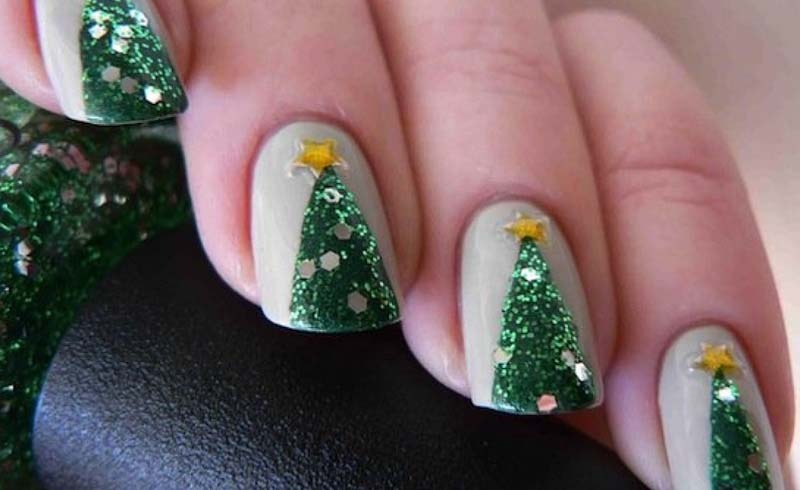 This Christmas tree nail art design is the perfect way to indulge in a little extra festivity. 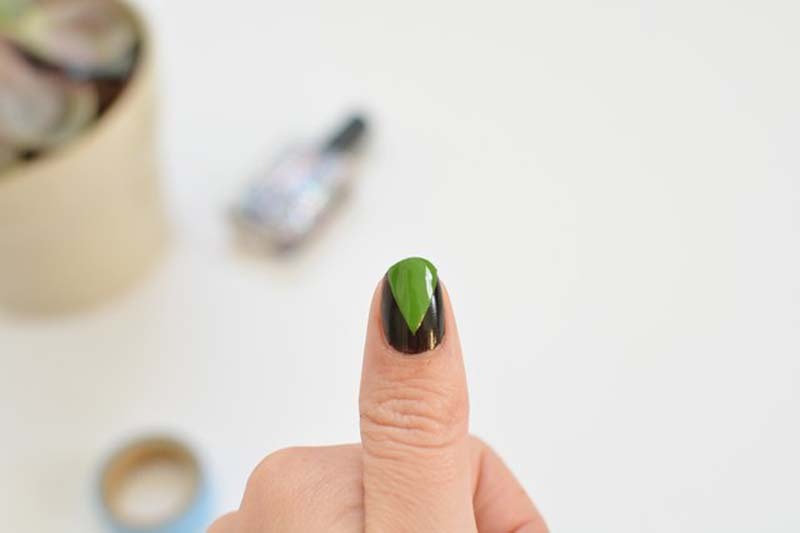 I'll show how easy it is to recreate so you can impress your family and friends with your holiday nails! 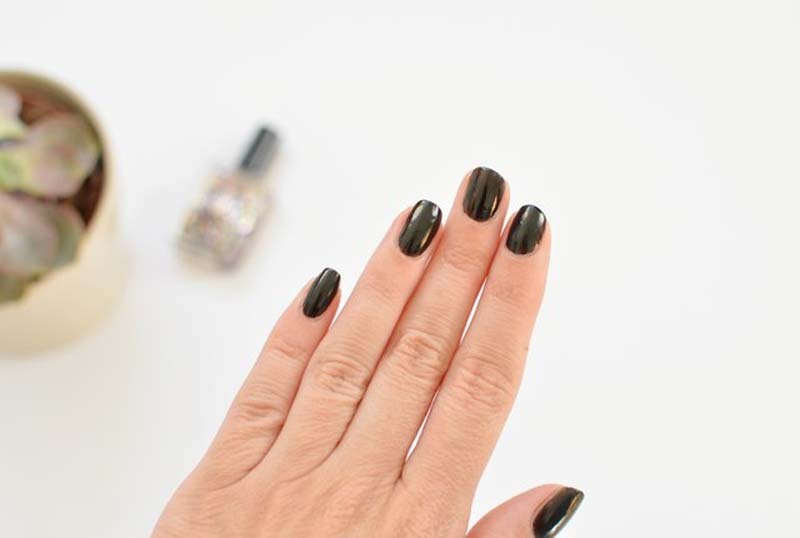 Paint a base coat. I've used black nail polish here but white also works well! Let this coat dry fully before moving on. 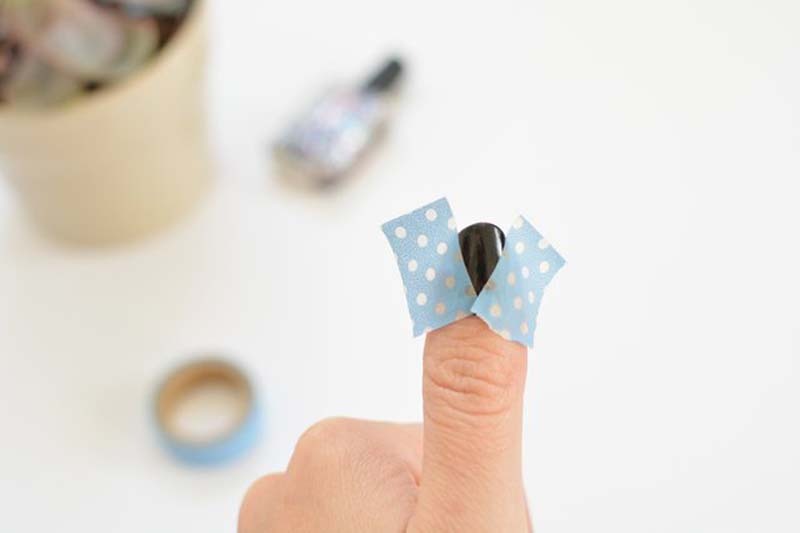 Create a triangle shape by securing two pieces of tape diagonally on the nail. Paint this triangle section with green nail polish. Remove the tape to reveal the Christmas tree shape! Repeat this process on all nails. Now, the fun part — decorating the tree! 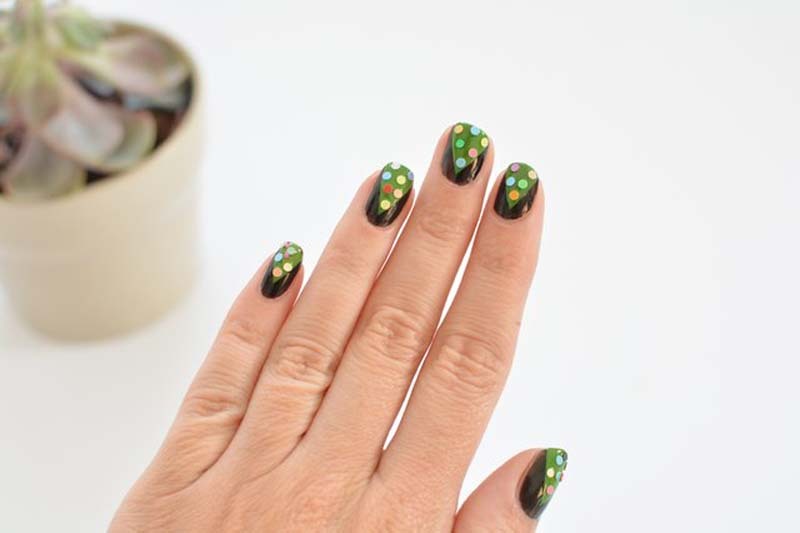 Use nail art sequins or chunky glitter polish to create ornaments. 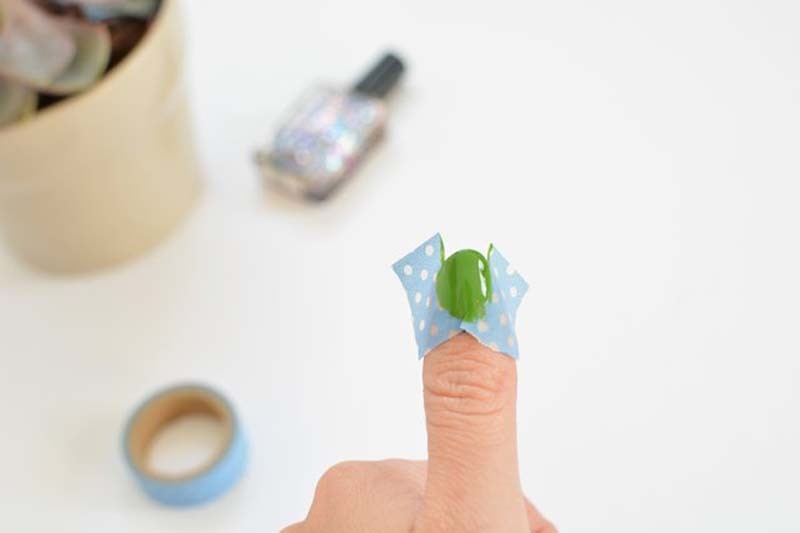 If the green nail polish has dried, dab on some clear nail polish to act like glue. I find a dotting tool or toothpick is the best way to pick up sequins and place them onto the tree. You could also use glitter polish to add some sparkle to the tree. 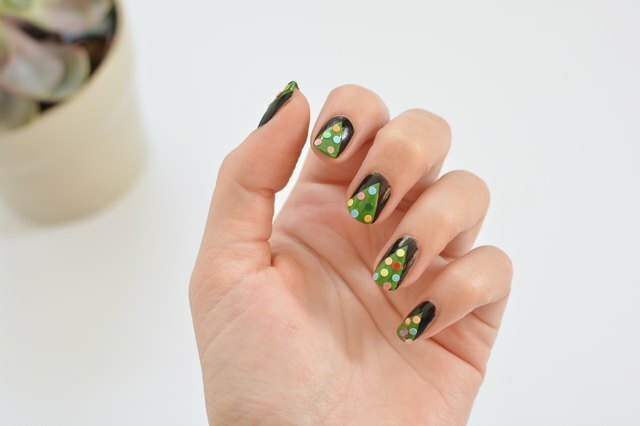 Repeat on all nails to finish the design. I'd recommend applying a couple of layers of clear topcoat to seal the sequins in place and prevent chipping!